Posted on June 28, 2015 June 28, 2015 Categories Book reviews, Books, General, WritingTags book reviews, books, review requests, reviews, writingLeave a comment on Now Accepting Review Requests! Jesus, where do I start??? “Single, Carefree, Mellow” to describe this book is a hell of a misnomer, because not one of the characters in this collection of eleven short stories was single. All of Heiny’s characters are upper middle class, educated, young white women working in a writerly kind of job and married to or in a committed relationship to a nice, clueless guy who works in a tech field. Every single story (yes, every. single. one!) included a main character caught up in some form or another of adultery, usually with a slightly older man who also works in a writerly occupation. It was almost as if the author was using a formula here: introduce characters, insert some humorous descriptions, bleep bleep bloop…then onto the coup de grâce of the main character and her running partner going at it like rabbits in the backseat of a car. Yes. Really. I can understand that a book has a common theme, but this was ridiculous. I’ve never read a short story collection in which the stories were so blandly repetitive, the characters so obnoxiously cliche. 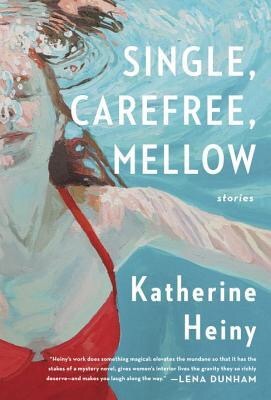 The women here were so indistinguishable from one another that it didn’t matter that Heiny used the second person narrative in several selections, or that the same character appeared in three different stories here in three different stages of her life. You don’t remember the characters’ names because they were so predictable and generic—the same voice, same character type. And since they’re all screwing their bosses or the dude they met on the Internet anyway, their affair part of the story becomes mindless, so beside the point. Like background noise, you ignore it. You move on, you don’t care. Also weird was that no one in this book, not one single person, appeared to have any moral objections to all of this affair-having. Not that every person is a born again Bible thumper, but I found the total lack of empathy in each story strange, to the point where the characters were completely unrealistic. Not one of the significant others/husbands here seemed to be vaguely suspicious of their wife or girlfriend, and no one was ever discovered in their indiscretions. And always, after said affair was over, the protagonist seemed to go on with their daily lives as normal. Really?! Like, I had no idea that getting your rocks off with a guy you met on a plane while your husband’s on a bicycling trip was that simple. Wowzers! 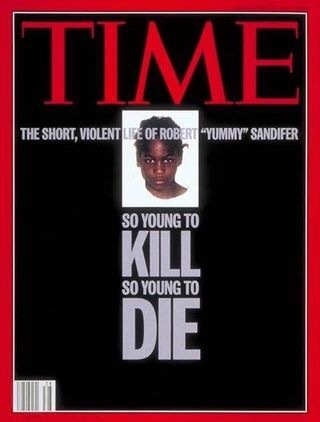 I was in high school back in 1994, and I remember the case of Robert “Yummy” Sandifer like it was yesterday. My parents used to get weekly subscriptions to TIME magazine back then and I remember staring at the young, barely preteen face in the mug shot on the cover thinking: how could this happen? How can an 11 year old child be both a murderer and a murder victim? Like the 1994 magazine cover, the child’s eyes on the front of this book stare directly at you and you can’t help but to stare back. His gaze is a direct challenge, his eyes are blank, hostile. It’s the coldest stare you’ve ever seen on an 11-year-old kid in your life. I read that magazine article over and over again and even though I knew the facts of his brief life (abusive past, both of his parents were incarcerated, ran away from numerous foster homes, and had dozens of brushes with the law), the facts offered no comfort or clarity to my burning question of ‘why?’ In the years since, I have never forgotten the details of Yummy’s short, violent life, or his young face on the cover of a national news magazine. Twenty years later as a middle school teacher, I had seen about a dozen ‘Yummys’ in my ten year teaching span. Not quite as violent at Robert, but the circumstances were the same–black male children living in hellish home situations, caught up in the ever-present, all consuming lure of gang life. I am also a parent myself, of an 11 year old son–ironically, the same age as the boy at the center of this novel. 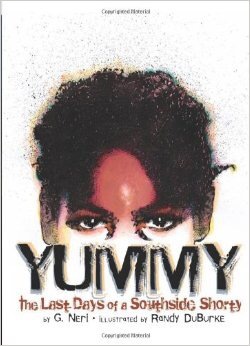 My interest in this case has never wavered over the years, so when I saw there was a graphic novel about Yummy’s life I jumped at the chance to read it. This was an excellent book. It is narrated through a fictional bystander, a neighborhood child named Roger. It is illustrated in a clear, thoughtful way that allows you to fully understand through pictures the drama of that unfolded in the Roseland neighborhood of Chicago back in 1994. The tragic facts of Yummy’s life are presented once again but what is unique about this story is that it accurately showed the detrimental effect of abuse and neglect on Yummy’s life. We see that even though he killed a young girl and committed several other crimes, he was still a kid and in many ways, still a victim. Through Roger’s perspective, we witness another side of Yummy. We learn that he was a child who still carried and slept with a teddy bear, loved his Granny, felt fear, and cried often. It was facts like these and several others that were presented that grabbed me emotionally in such a way that I couldn’t help but to want to reach out and hug this child and sympathize with him. The author never pushed an agenda or preached, but left you to make up your own mind about whether or not Yummy was a cold hearted killer. This book is undoubtedly a morality tale to warn kids away from the perils of gang life. I wish I had discovered this book years earlier as a teacher and presented it to my reluctant readers, who have no choice but to live in a violent, hopeless home environment like the one in which Yummy was raised. The ending is one of hope, though we know deep down that the problem of gangs aren’t going anywhere soon. This book, however, is a great start. Only the Queen May Breed. These are the mottoes of the hive in Laline Paul’s “The Bees,” a world in which Flora 717, a sanitation worker and the lowest class in the hierarchy of her hive, is required to follow wholeheartedly or she faces certain death. As we witness Flora’s birth in the first few pages, we immediately know that she is special, different from the hundreds of other low level bees in her hive. Flora discovers early on that she can speak, that she produces Flow (an important nourishing substance to feed larvae) and that she possesses another exceptional secret ability that sets her apart from all of her sisters (all the bees in a hive are female). Throughout the book Flora overcomes great challenges (rain, foraging, wasps, crows) to conceal her gift from the those that threaten her existence. Comparisons to “The Handmaid’s Tale” will be inevitable here. 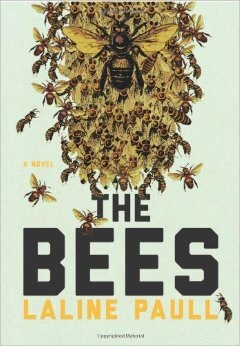 Whether the author intended to or not, you will find all of the earmarks of a dystopian fiction novel here. The constant repetition of the “accept, obey, serve” motto is at the center of the Hive Mind. There’s thought reading, social control, as well as questions and considerations surrounding reproductive freedom to ponder. All in all, this is a thoroughly enjoyable read that I highly recommend. I’ve always maintained that if you really want to learn how to write fiction, you gotta start with short stories. You only have a couple of pages to grab a reader’s attention and establish the basics before your audience completely loses their patience and stops reading. It’s the first litmus test of whether or not you’re truly mastering your craft as a writer. If a particular writer has decent short stories, chances are you’ll eventually read their novel. My first writing experiences when I began writing at age 7 were short stories: fanciful little numbers that were inspired mostly by the 80s movies I grew up watching (“The Goonies,” “The Never Ending Story,” etc). Later on in my literature classes in school a whole new world was opened (Edgar Allan Poe, Hawthorne, etc) and they never left my heart. As a teacher I always used them in my instruction to engage students. Today I came across an article on Buzzfeed entitled “23 Short Stories You’ll Want to Read Over and Over Again” and some of my MAJOR faves got left out, so I made my own list. Enjoy! 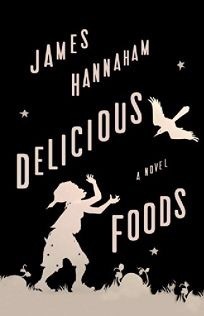 After I finished this book I lay awake staring at the ceiling for 30 minutes, thinking: if this book doesn’t win an award this year I don’t know what the hell people think good literature is. I wasn’t sure what to expect with this book. I knew its main theme was the devastating effects of crack cocaine, but had no idea of what kind of ride this book would take me on. The first chapter completely jars you out of any sense of comfort with its brutality; the rest is deep, slow burn of emotion. This was not a quick read for me. It took a while to get used to the narration of “Scotty,” (a.k.a crack cocaine) but once I did I found myself reading and re-reading those chapters, just to experience the rhythm and hip-ness of the language once more, and to laugh (inappropriately, of course) at its narrative inclusion in this book. I kept waiting for Scotty’s narration to wane or sound ridiculous, but it never did. At times I had to pause and ask myself if it was really crack “talking” and not just another person in the book. Yes, it was THAT good. I have to admit that the emotion of this book was, at times, too much for me to handle. Young Eddie is eleven years old when he discovers his mother is missing and begins to search, quite literally, through the depths of Hell to find her. My son is also eleven years old, and so many times in the book I found myself so overwhelmed with the image of my own child roaming the streets at night in my absence that I had to metaphorically take a deep breath and gather my bearings before I could continue. My feelings for Darlene and the choices she made throughout the novel alternated between full on rage and absolute pity, I was brought to tears too many times to count here. This book will break your heart. Very few books have the power to do this to me, I pride myself on having a heart and a stomach for just about anything. There wasn’t a single character that wasn’t real or a single word that’s wasted here. So well written, emotionally gripping. I loved every minute of this book. Highly recommended.